CRANBERRY TWP., Pa. — Montour captain Richard Froehlich led his team all the way through a successful regular season, scoring 80 points to lead PIHL Class-A and securing a No. 1 seed for the Spartans. 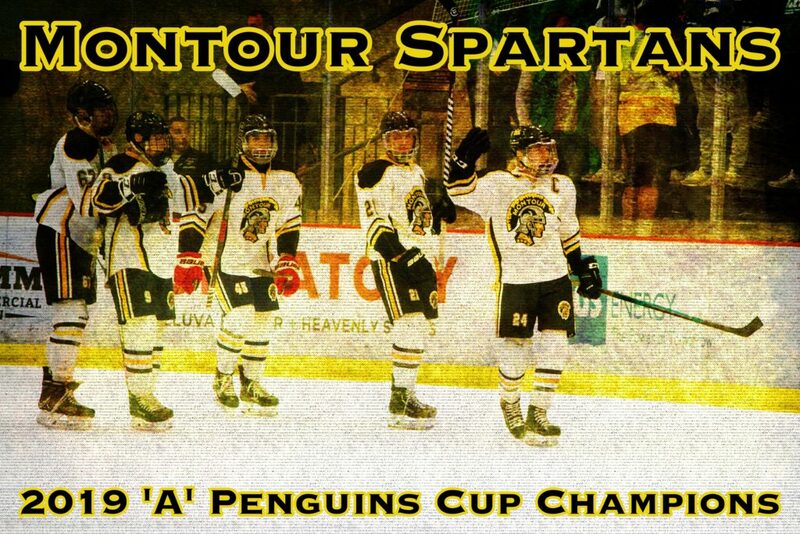 Froehlich also came up big in the biggest game of the year for Montour, he scored two goals as the Spartans powered through the South Fayette, 6-3 to win the 2019 PIHL Class-A Penguins Cup. After Michael Felsing opened the scoring for Montour, Froehlich gave the Spartans a 2-0 lead just before the first intermission when he forced a turnover in the South Fayette end and slid the puck past Lions goaltender Bruce Hardman. Montour was able to capitalize on their strong forecheck throughout the game. Four of their goals were either a direct result of a turnover or on a power play that followed one. “We wanted to stretch them out because they are so good defensively” said coach Clayton Shell. “We didn’t change our game as far as speed and going north fast”. In the second period Froehlich continued his strong night, finding a streaking Dustin Geregach between the circles to give the Spartans a 3-0 lead. At 6:27 of the period, Geregach returned the favor, firing a point shot on a Montour power play that Froehlich tipped home for his second goal of the game. Nolan Sarnowski did everything he could to keep the Lions in the game as he scored two goals from the point in the second period. Ian Kumar scored early in the third to close the gap to two goals, but that was as far the Lions got toward a comeback. A fluky goal by Ryan Eisel after another South Fayette turnover sealed the victory. Zachary O’Malley backstopped the Spartans victory, making 23 saves including a beautiful post-to-post save in the second period. Montour will face West Chester Rustin on Saturday at RMU Island Sports Center in the Pennsylvania Cup.